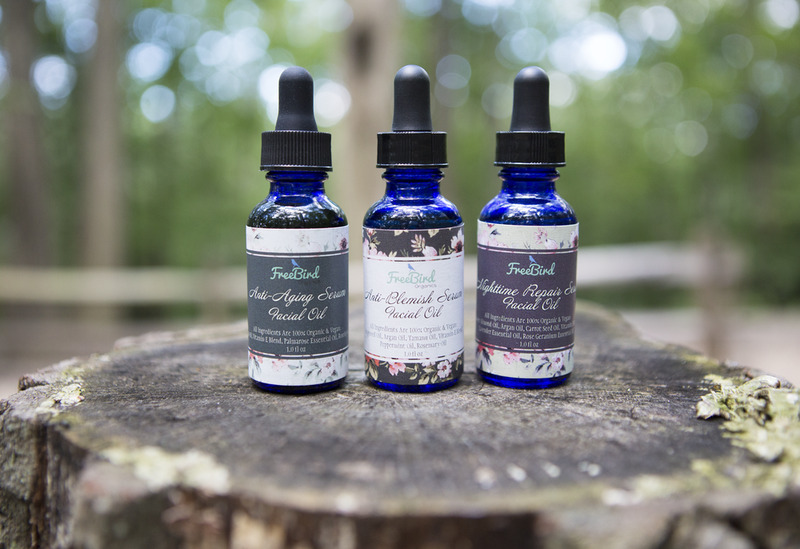 All of our Apothecary Skincare line is hand made with love in small batches by the owner & founder of FreeBird Organics, Roxy. Every item is 100% organic and vegan, loaded with healing essential oils, natural herbs, and a special Vitamin E blend that is sure to give you the perfect skincare regimen. Whether you have acne-prone skin, dry and flaky skin, mature and aging skin, or looking to groom your beard just right. There is something for everyone!